Ever knew a Barchetta-sister to the lovely Ferrari 575 GTZ existed? Or a Porsche 356 Barchetta Zagato? 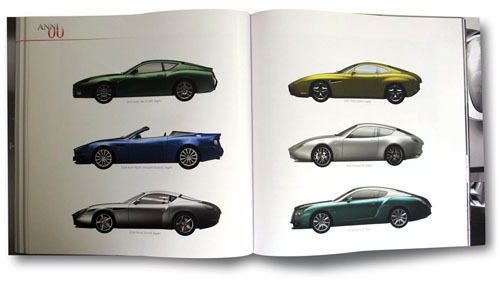 You’ll find these and much more in a new Zagato book. Lets face it: you can’t get any closer to Zagato then being one. 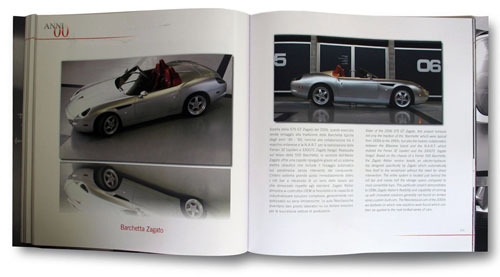 So it’s easy to say Andrea Zagato is the ultimate author of a book dedicated to the 90 years that this prolific carrozzeria is now in business. Help came from Zagato’s current PR man Andrea di Taranto. A natural choice too, as he not only spends his working life to the Milanese company, but owns several Z-cars too as a vivid marque-fan. 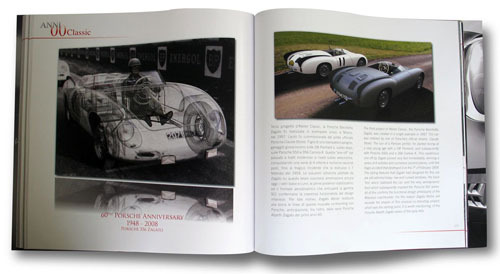 ‘Zagato Milano (1919 - 2009)’, published by Giorgio Nada Editore, is divided into 17 chapters, spread over 176 pages. 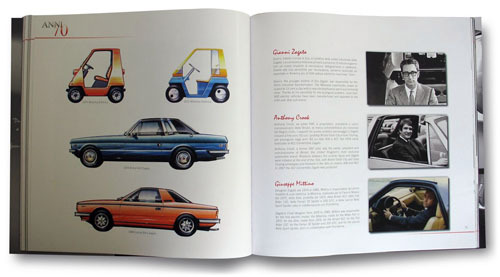 Most of these tell you about the specific cars of a specific era. From the ‘years 10’ (Ugo Zagato’s focussed on planes rather then cars) to the ‘years 00’ and the latest Bentley-based car. Although much of the pictures have been seen before, this book is enriched with beautiful drawings and some obscure vintage material that makes it very much worthwhile. I especially liked the Panoramica cars of the 1940’s of which so little seems to be known these days as the focus is very much on the fifties’ and sixties’ cars that raise such incredible prices. For each decade a few persons that have been meaning much (or less) for the company have been highlighted. They range from Benito Mussolini to Alberto Ascari and from Tony Crook to Victor Gauntlett and give a nice overall feel about the era described. If you are looking for in-depth information about the models, this is not the book for you. 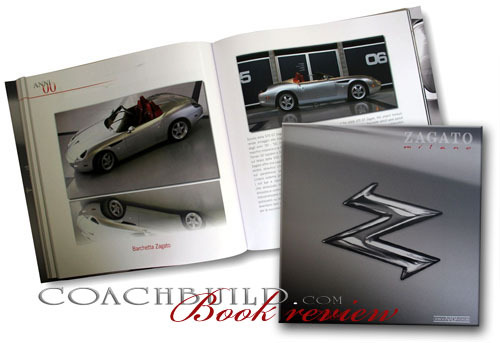 Some cars that have hardly been publicised by the company – such as the 1998 Lamborghini Super Diablo Zagato (better known as the Canto) – are featured here; others have been left out as the books bright design just did not allow all the cars in. See here a challenge for the most exasperating of writers! It is also the ‘years 00’-chapter where a few novelties can be found. At least I did not know they ever built a sister-car to the 2006 Ferrari 575 GTZ as an open Barchetta. The car was based on a Ferrari 550 Barchetta and comes with heavily modified electro-hydraulic top. The authors link this car to the often-despised Ferrari 3Z Spider that was built in collaboration with the North American Racing Team in 1971. Least as interesting is the third of Zagato’s Atelier Classic projects, the first being the Lancia Aprillia Sport Zagato that was reconstructed in 2006 and the second the Ferrari 166 Panoramica that was tackled in 2007. This particular car is a Porsche 356 that came to life as a one-off in 1957. Zagato commissioned the car for works driver Claude Storez who tragically wrote it off two years later. Not only bringing an end to the car’s life, but to that of himself too. Zagato’s collaboration with Porsche has often been discussed. The beautiful Porsche 356 Carrera Abarth is a Franco Scaglione design, built at the time he worked for Zagato. 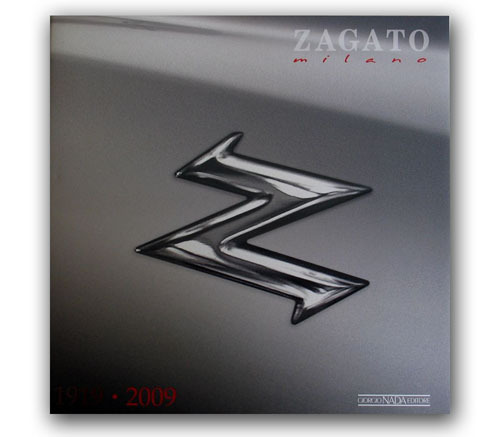 Somehow Zagato’s name was never given to the racing car, but was often thought the cars were built in the Milano atelier. With the revived Zagato Porsche now I would say it is about time for a new German-Italian collaboration.